MERCURY, VACCINES AND THE CDC’S WORST NIGHTMARE | "Global Possibilities"
For over three decades, Robert F. Kennedy, Jr. has been one of the world’s leading environmental advocates. He is the founder and president of Waterkeeper Alliance, the umbrella group for 300 local waterkeeper organizations, in 34 countries, that track down and sue polluters. 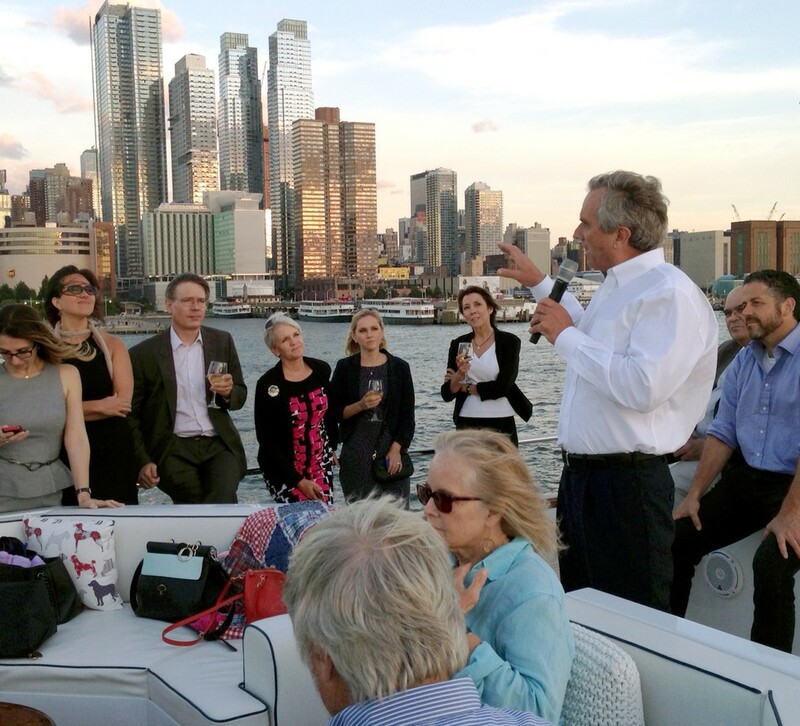 Under his leadership, Waterkeeper has grown to become the world’s largest clean water advocacy organization. Around 2005, parents of vaccine-injured children started encountering Kennedy’s speeches and writings about the toxic mercury-based preservative thimerosal. They embraced new hope that this environmental champion would finally expose the truth about vaccine injury and win justice for injured children. Kennedy is known for his fierce and relentless brand of environmental activism and his advocacy for transparent government and rigorous science. He is now applying his tenacious energies and sophisticated strategies to exposing the fraud and corruption within the Center for Disease Control and Prevention (CDC) and the pharmaceutical industry. Last month, he launched his new non-profit, the World Mercury Project, with vaccine safety advocates Lyn Redwood and Laura Bono, legends themselves among parents of vaccine-injured children. Autism File executive editor Rita Shreffler spoke with Kennedy about CDC corruption, pharmaceutical industry greed, media malpractice and his vision for the World Mercury Project. 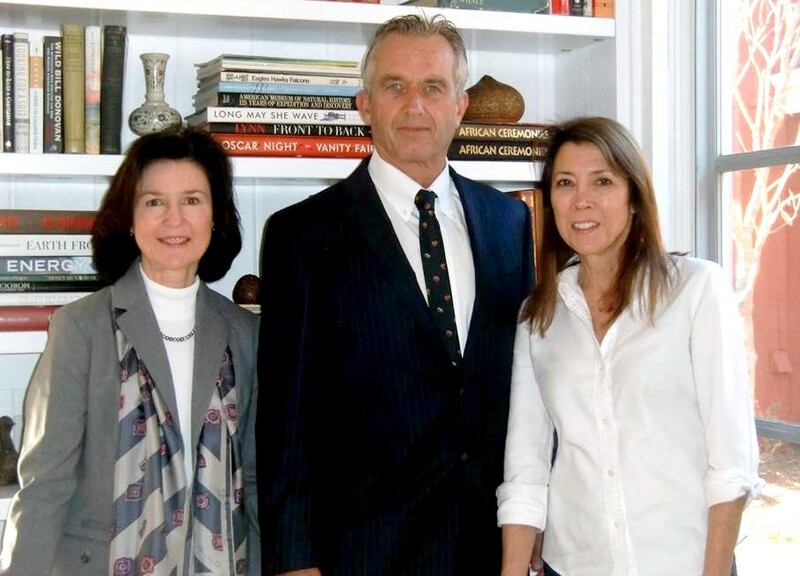 (Left to Right) Laura Bono, Robert F. Kennedy, Jr. and Lyn Redwood are leading the charge against toxic mercury exposures.Rita Shreffler: How did you first get involved in the autism/vaccine controversy? Robert F. Kennedy: I was dragged kicking and screaming into this brawl. By the early 2000s, I was fighting multiple lawsuits on behalf of Riverkeeper and Waterkeeper against coal-fired power plants. I was touring the country speaking about, among other things, the dangers of mercury emissions, which, by then, had contaminated virtually every fresh water fish in America. Following many of these appearances, mothers would approach me. Their tone was always respectful but mildly scolding. They said that if I was serious about eliminating the perils of mercury, I needed to look at thimerosal. Vaccines, they claimed, were the biggest vector for mercury exposure in children. I really didn’t want to get involved because vaccines were pretty remote from my wheelhouse. I’d always been pro-vaccine. I had all my kids vaccinated and got my annual flu shot every year. But, I was impressed by these women. Many of them were professionals: doctors, lawyers, scientists, nurses and pharmacists. They were overwhelmingly solid, well-educated, extraordinarily well-informed, rational and persuasive. 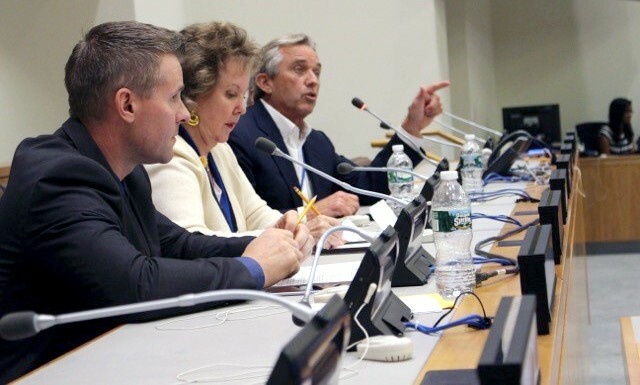 Robert F. Kennedy, Jr. participated in a panel discussion following the United Nations screening of Trace Amounts on August 27, 2015.Mary HollandRS: Was there a particular one of these mothers who finally got you to take the bait? RFK, JR: Yeah, my brother Max’s wife, Vicky Strauss Kennedy, introduced me to a psychologist named Sarah Bridges. Her son Porter was vaccine-injured and later diagnosed with autism. After an eight year legal battle, she had finally received compensation from the vaccine court, which acknowledged that Porter got his autism, seizures and brain damage from thimerosal and pertussis vaccines. She persuaded me to start looking into the science. RS: That was a daunting request! RFK, JR: I have always loved science and I’m comfortable reading it. By then, I’d handled many hundreds of environmental cases. Almost all of them involved scientific controversies. When I started reading about thimerosal, I was dumbstruck by the contrast between the scientific reality and the media consensus. All the network news anchors and television doctors were assuring the public that there was not a single study that suggested thimerosal was unsafe or that it could cause autism. After a short time on PubMed, I’d identified many dozens of studies suggesting that thimerosal causes autism and a rich library of peer-reviewed literature—more than 400 published studies—attesting to its deadly toxicity and its causal connection to a long inventory of neurological injuries and organ damage. RS: What do we know about thimerosal safety testing? RFK, JR: First of all, vaccines are not subject to the safety rigors undergone by other pharmaceuticals in the FDA approval process. There are no large scale, double-blind, placebo-controlled studies. And, in the one 1930 human study of thimerosal that predated its use in vaccines, all the subjects injected with thimerosal died. In 2004, an FDA official acknowledged in testimony before a Congressional committee, that no government or privately funded study has ever demonstrated thimerosal’s safety. On the other hand, there is plenty of science suggesting that thimerosal is NOT safe. Several hundred studies available on PubMed link thimerosal exposure to the neurodevelopmental and immune system diseases that are now epidemic in the generation of American children born after the CDC dramatically increased childhood thimerosal exposure starting in 1988. My book, Thimerosal—Let the Science Speak, summarizes these studies. The scientific literature inculpates increased thimerosal exposure as a culprit in the explosion of ADD, ADHD, speech delay, narcolepsy, SIDS, ASD, seizure disorder, tics and anaphylaxis, including asthma and food allergies. According to the CDC, one in six American children—the so called “thimerosal generation”—now suffers from a developmental disability. We have published a compendium of 80 published, peer-reviewed studies that strongly suggest a link between thimerosal exposure and autism. RS: The CDC started adding to the vaccine schedule in the late 1980s and all these diseases, including autism, began spiking among kids in the mid-1990s. That’s when parents started seeing perfectly healthy children regress into autism after receiving their vaccines. RFK, JR: Yeah. A rising chorus of complaints from parents and pediatricians linked the new thimerosal-heavy vaccine schedule to an explosion in autism. In response, the CDC, in 1999, commissioned an in-house Belgian researcher, Thomas Verstraeten, to study the Vaccine Safety Datalink, the largest American repository of childhood vaccine and health records, collected by HMOs. The HMO data clearly showed that the massive mercury doses in the newly expanded vaccine schedule were causing runaway epidemics of neurological disorders—ADD, ADHD, speech delay, sleep disorders, tics and autism among America’s children. Verstraeten’s original analysis of those datasets found that thimerosal exposures increased autism risk by 760%. The CDC now knew the cause of the autism epidemic. RS: Is that even a legitimate moral calculation? RFK, JR: You mean to kill one child in order to save fifty? Ethicists and theologians could argue the point. But that isn’t Offit’s real moral dilemma. Offit’s moral Donnybrook is his absolutist defense of the industry position that all vaccines are always safe for all people and that the safety of thimerosal is unassailable. That approach has unnecessarily damaged vulnerable subgroups that could easily have been protected and sacrificed millions of kids, not for the greater good but for the bottom line. As the vaccine industry’s lead pitchman for thimerosal, Offit’s been extraordinarily successful at crafting a persuasive alternative to fact-based reality and selling it like a carnival barker. He has made himself the high priest of the weird dogma that it’s somehow safe to inject mercury into babies. RS: You once described the autism epidemic as a holocaust. That characterization made many parents feel that someone finally understood their experience. RFK, JR: Yeah. I later apologized because the press turned my use of that word into a distraction. My apology was heartfelt. There is a legitimate argument that that term is proprietary to the victims of Hitler. Hitler’s campaign to purposefully exterminate an entire race with industrial efficiency. I had appropriated the term to describe the autism epidemic after searching vainly for some other analogies with the power to capture the magnitude and monstrosity of this global tragedy. Just spend some time with a child who has severe autism. Life for these children is an endless agonizing progression of twilight and terror. The tormenting gut aches, excruciating sensory sensitivities, the serial head banging and screaming, the isolation and perpetual joylessness. The entire family is permanently devastated. Now multiply that by ten million. I felt we owed it to the injured children and their families to be courageous in describing their tragedy in language that expressed the horror of their suffering and the willfulness of its architects. Offit is the primary engineer and pivotal figure for a system that has injured millions of children. Rabbi William Handler regularly characterizes the epidemic as a holocaust, which, I suppose, he has a right to do since he is a holocaust survivor. RS: Then do you think this is just about the money for Offit? RFK, JR: I don’t know. I’ve seen these characters over my career—these industry hired guns. Murray Walker of the Tobacco Institute, who was the inspiration for the scoundrel, Nick Naylor, in Thank You for Smoking, Donna Farmer from Monsanto, Fred Singer for the carbon industry, Brooke Alexander for the American Petroleum Institute, Myron Ebell of the Competitive Enterprise Institute. Offit has probably made more money from pharma than all of them put together. From my vantage, all of these shills seem to have some driving impulse beyond raw greed. RS: You mean like a sociopath or a sadist? RFK, JR: I’m not sure. I know that, to parents of injured children, it seems like it all has to be purposeful malevolence. But it might be as simple as arrogance. They take on this awesome power to make these life or death decisions over large populations and even to take parenting decisions away from mothers and fathers. It must make a person feel like God. Consider the corrupting effect of this God-like power. Offit has hinted publicly, he believes it’s OK to lie; it’s OK for doctors and scientists to lie to protect the vaccine program. He gets indignant when people discuss vaccine safety who are not doctors or scientists. He becomes enraged when people question him. Last month, he told the parent of an injured child to “F*** off.” He later said he didn’t realize he was being taped. That’s the original sin, isn’t it— pride? The desire to make oneself a deity. That was the pitfall at Eden and then at Babel. RS: So that conversation with Offit was a turning point for you? RFK, JR: Yes, and then, the thing that pushed me over the edge was when Lyn Redwood gave me a copy of the Simpsonwood transcripts. I published excerpts simultaneously in Rolling Stone and Salon in 2005. As I mentioned earlier, Simpsonwood was a secretive convocation of America’s leading public health officials, from the CDC, FDA, WHO, AAP and all the pharmaceutical companies who gathered to discuss strategies for dealing with Tom Verstraeten’s damning revelations. It’s still unclear whether the participants knew that someone was tape recording their conference. And, as you read this transcript, you can feel the fear and horror as these public health bureaucrats realize what they have done. And then, you can watch as they all begin conspiring frantically about how to hide their mistake! It was astonishing! I couldn’t believe what I was reading. RS: I was really excited to hear about the World Mercury Project. Can you tell our readers how the organization came to be? RFK, JR: The World Mercury Project emerged from the promotion we were doing for the film Trace Amounts. I had travelled to a dozen cities, with Director Eric Gladen, to screen the show, speak, and fight the wave of vaccine mandates in 2015, when the pharmaceutical industry tried to leverage a Disneyland measles outbreak into a new California gold rush. When our work with the film came to a close, I recognized that even a committed movement of extraordinarily talented activists would never move the needle on this issue. The forces arrayed against us were just too powerful. We needed a paid professional staff who awaken every morning thinking of nothing except how to solve this problem. How to force a national debate and expose the phony science and CDC corruption. How to use the most sophisticated social media, and internet marketing and what Martin Luther King called the “tools of advocacy”: agitation, legislation, litigation, education, and media and grass roots activism.